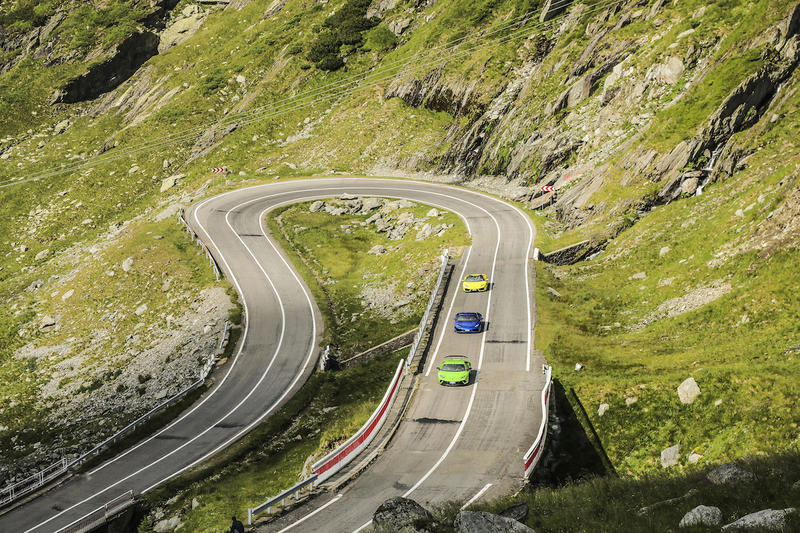 Where is the best driving road on the planet? 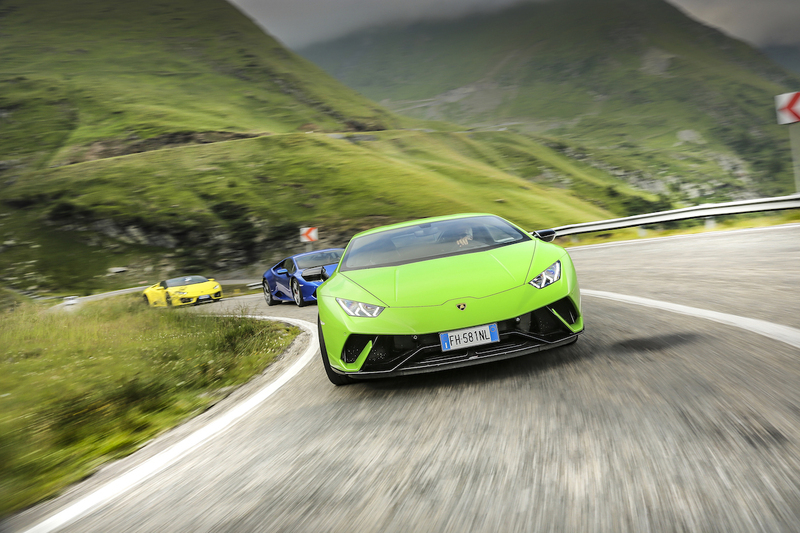 It's reasonable for Americans to assume that it's somewhere in California, the Angeles Crest Highway perhaps; or maybe it's on the East Coast, like the Tail of the Dragon. 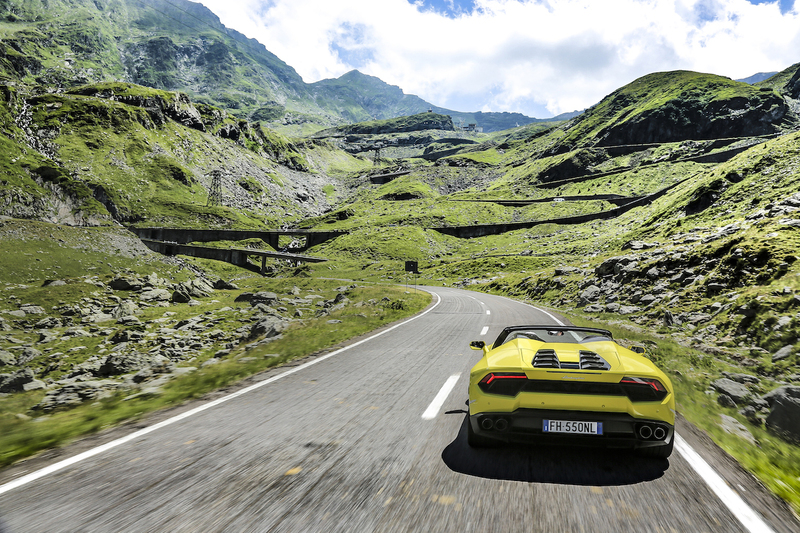 Unfortunately for those of us without the money for an expensive plane ticket, most agree that the best driving roads are across the pond. 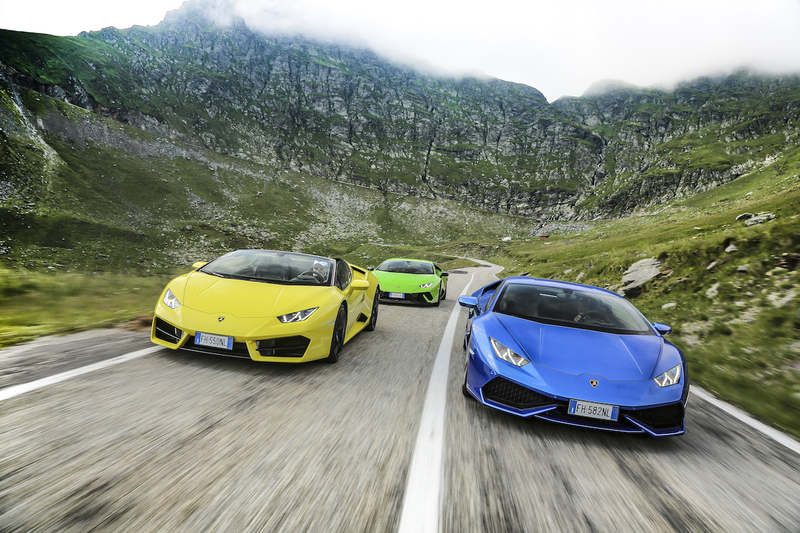 Spain has some breath-taking roads, with the French Riviera trailing closely behind. 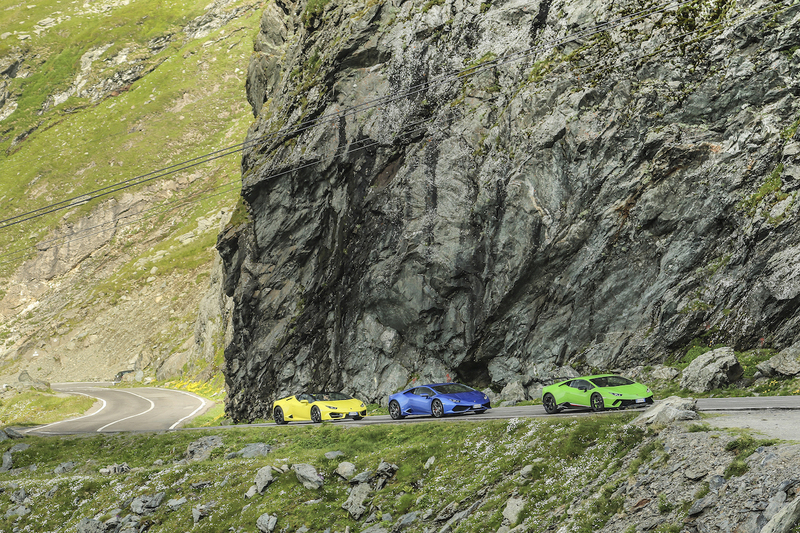 However, Lamborghini thinks everyone is wrong and that the most beautiful and exciting road in Europe is in...Romania. 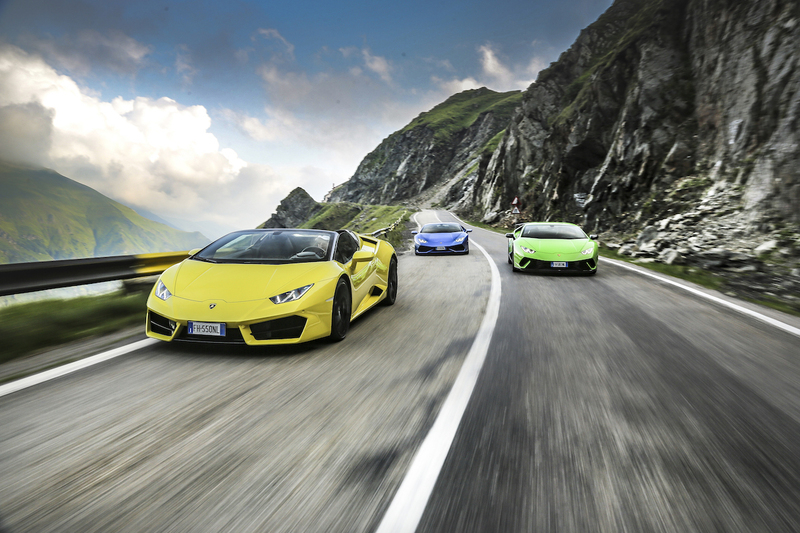 To find out, Lambo has sent six of the best Huracans in its lineup to Transylvania for a bucket list dream cruise. 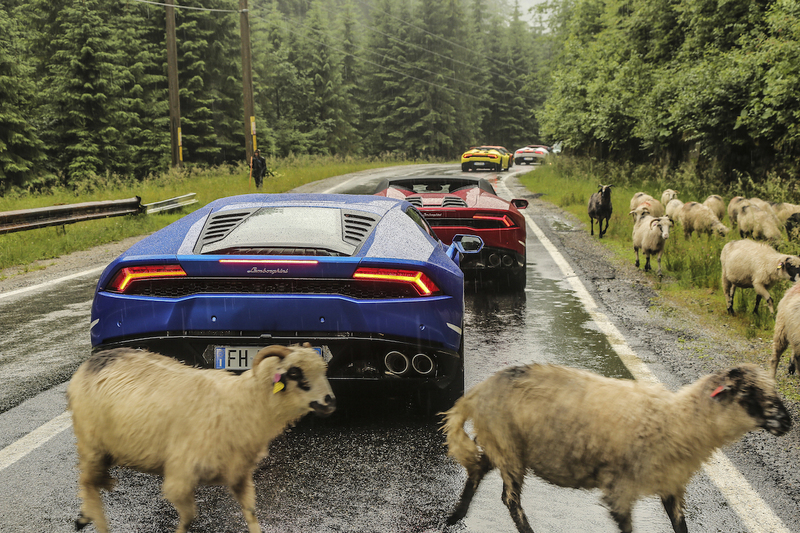 Lamborghini stated in a press release Thursday that it shipped five Huracan Coupes and Spyders as well as a Huracan Performante to Romania to drive the Transfăgărășan, Transylvania's loveliest road. 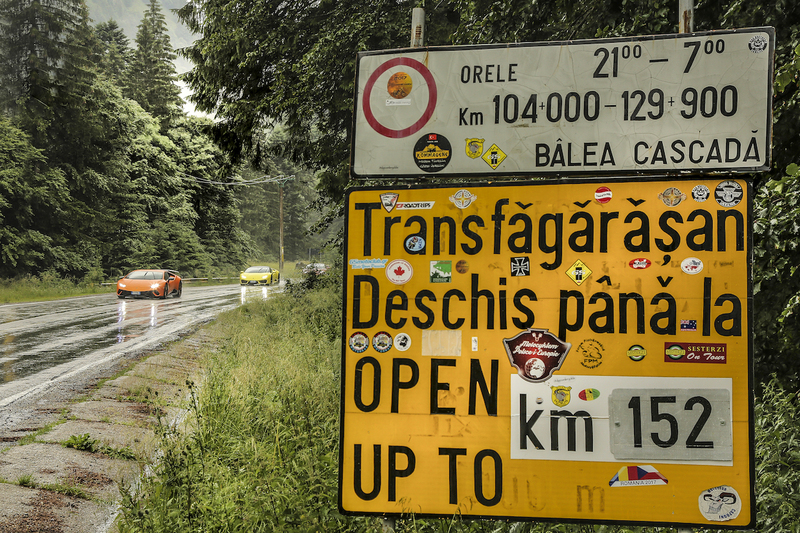 The Transfăgărășan is a 56-mile winding stretch of pavement that snakes through the Transylvanian Alps region, and was once named the best driving road in the world by Top Gear. 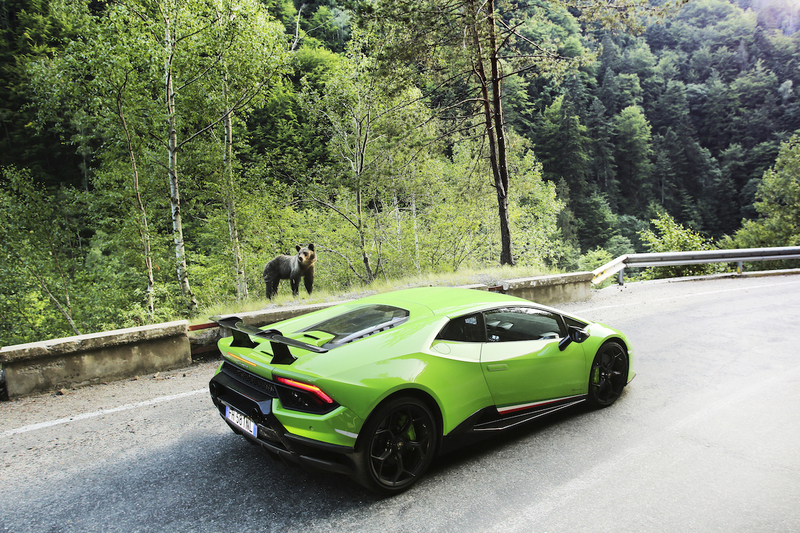 Overlooking part of the road is the castle of Vlad III, also known as Vlad the Impaler—who, of course, is the inspiration for Dracula. 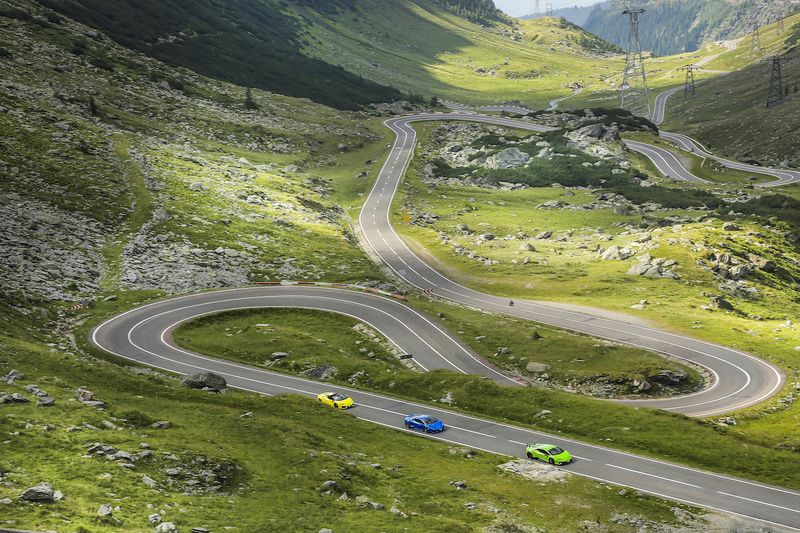 The Transfăgărășan is only open to the public during the summer, and they say you can see the entire road from the highest nearby peak on a clear day. 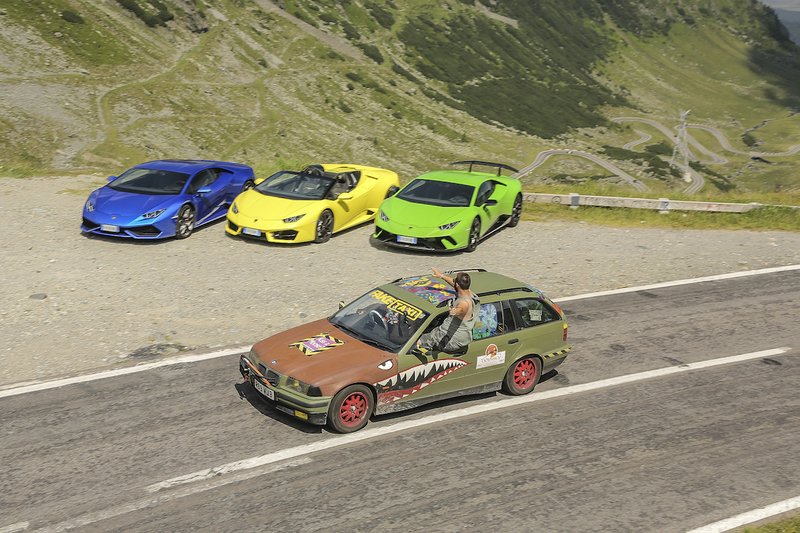 The half dozen Huracans started in the large town of Sibiu, Romania and drove nearly 100 miles to find the winding road. 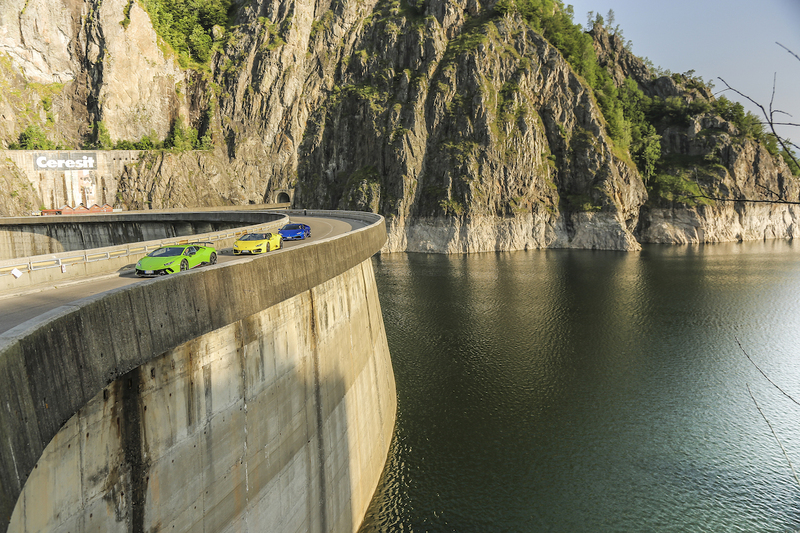 Once there, the Lamborghinis had nearly 60 miles of crazy hairpins and breath-taking views to explore, ending at the Vidraru Dam with Count Dracula's castle looming over them. 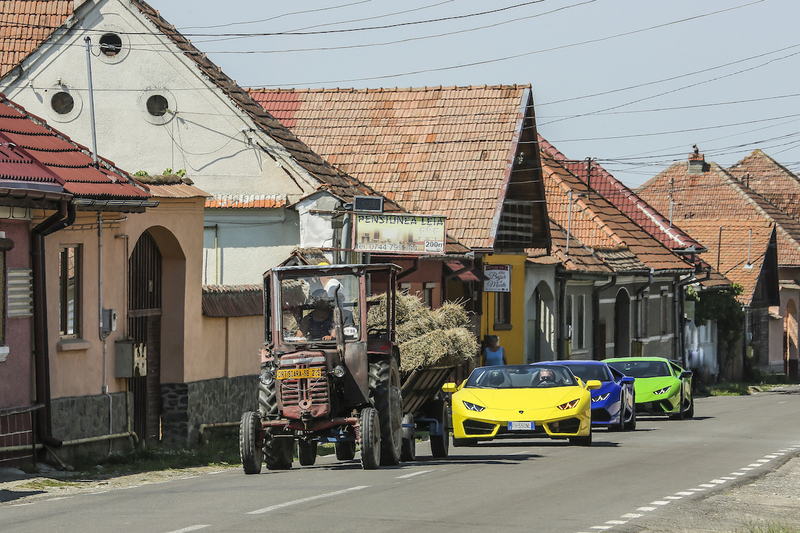 That said...Vlad's taste for red implies that he was probably more of a Ferrari guy anyway. 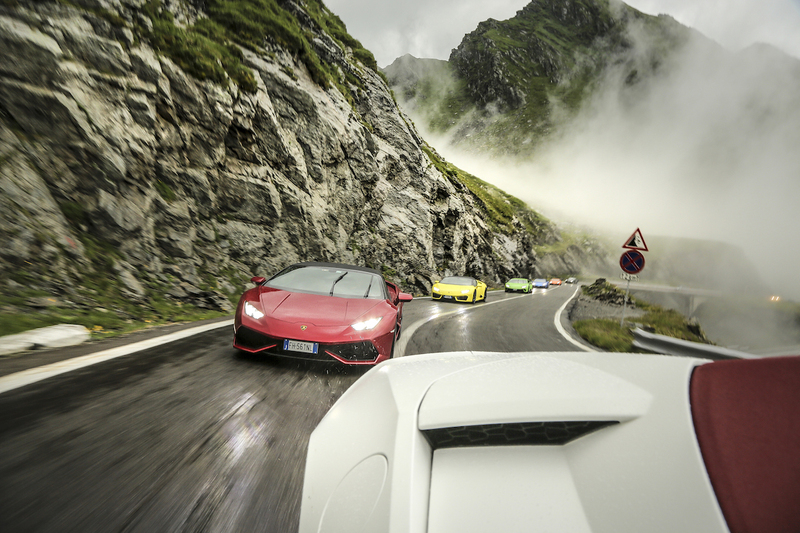 The same aural delight and windblown exhilaration, now with more oversteer. 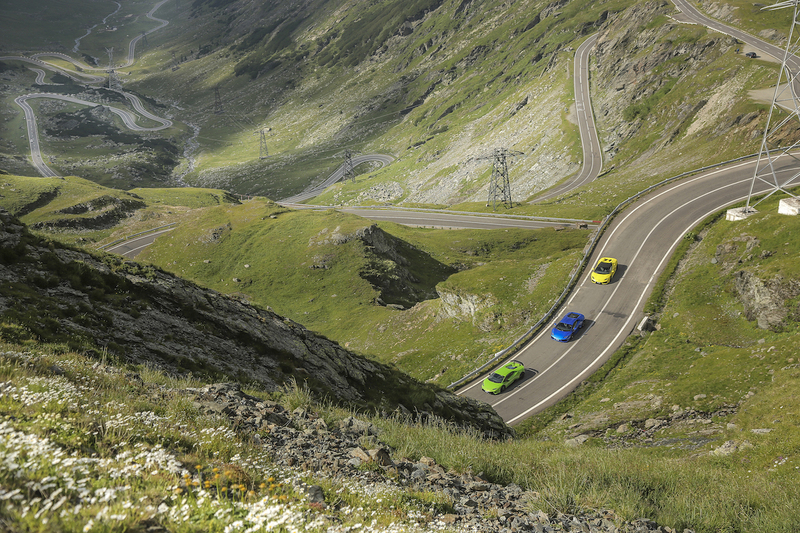 In the first installment, we visit Switzerland's Bernina Pass with travel blogger Courtney Scott. 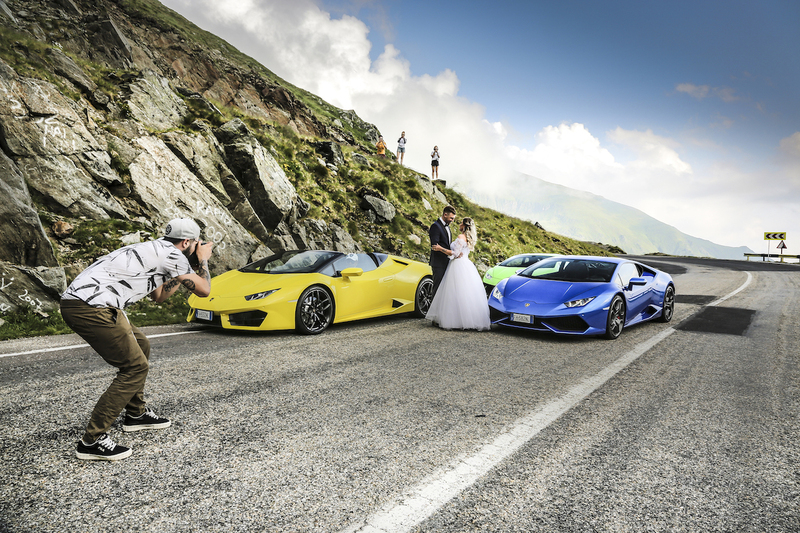 Rented Lamborghini Huracan Spyder Stolen in Switzerland by Woman With Fake I.D. 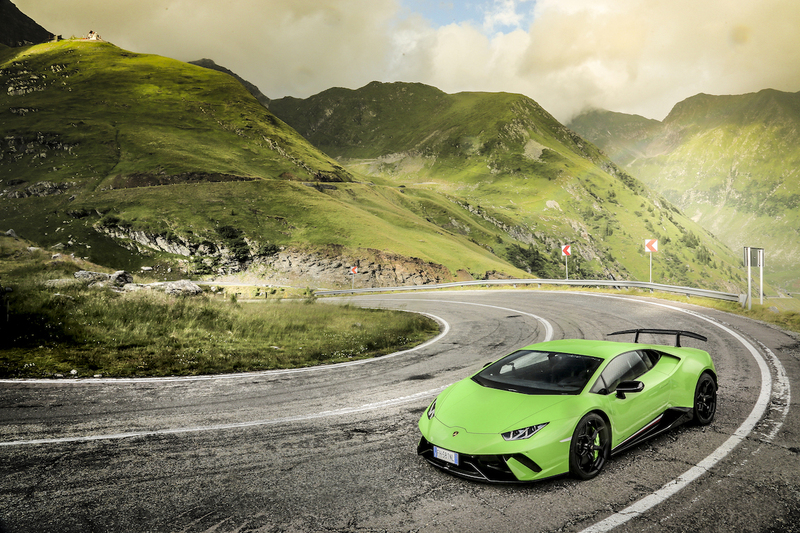 The black drop-top supercar was reportedly last seen in London.